The healthcare industry faced a similar conundrum regarding electronic medical records. As medical records evolved from paper to an electronic format, the opportunity to perform analytics on this data was gigantic. Yet, the Health Insurance Portability and Accountability Act (HIPPA), a law about patients' medical records privacy, stood in the way. To take advantage of this opportunity but still adhere to HIPPA, healthcare analytics companies devised processes to “de-identify” the sensitive data in medical records. In this this way, no specific patient could be uniquely identified while analysts gleaned insights from millions of medical records uploaded by thousands of healthcare providers. Credit union member data can be handled in a similar way. In fact, the same method for protecting patient privacy can be adapted to the data of credit union members. The direct identifiers can be removed. The direct identifiers can be replaced with either category names or data that are obviously generic. For example, names can be replaced with the phrase “PERSON NAME”, addresses with the phrase “123 ANY ROAD, ANY TOWN, USA”, and so on. The direct identifiers can be replaced with symbols such as “*****” or “XXXXX”. The direct identifiers can be replaced with random values. If the same identity appears twice, it receives two different values. This preserves the form of the original data, allowing for some kinds of testing, but makes it harder to re-associate the data with individuals. The direct identifiers can be systematically replaced with pseudonyms, allowing records referencing the same individual to be matched. In layman’s terms, this means that authorized parties can restore de-identified data back to its original form. For example, Member Number is de-identified via pseudonymization. The data is not comprehensible to any unauthorized party. However, when the data returns to the credit union, it can be reversed and integrated back into the database. 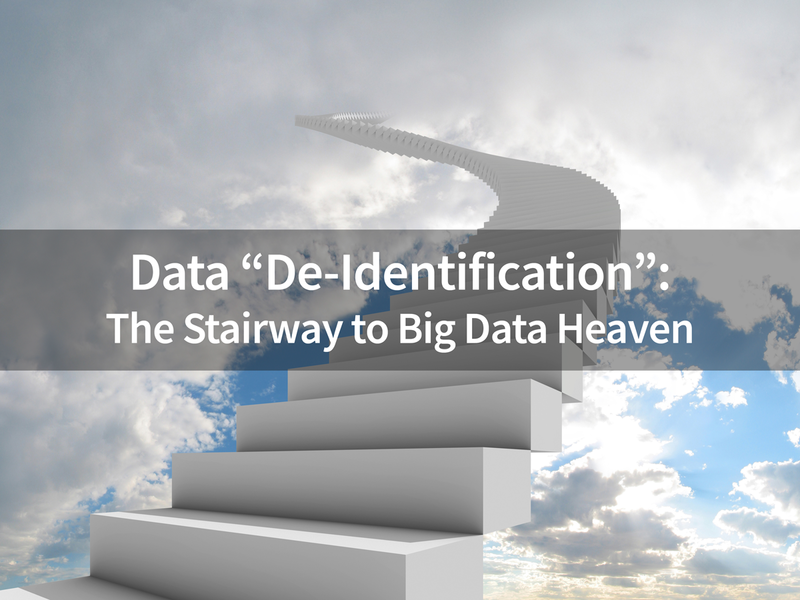 Credit unions that can understand the what and how of data de-identification will be better prepared to take advantage of Big Data opportunities.